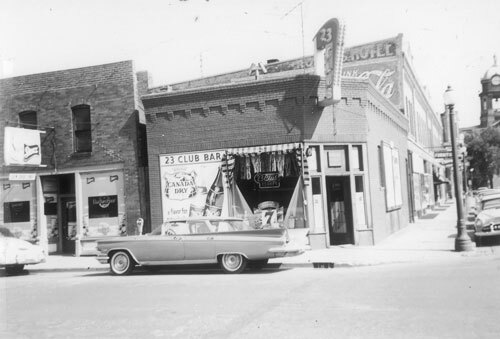 Formerly the 23 Club (or Club 23) bar on the corner of 2nd Avenue and Lincoln Street, the inside of which can be seen in this picture. 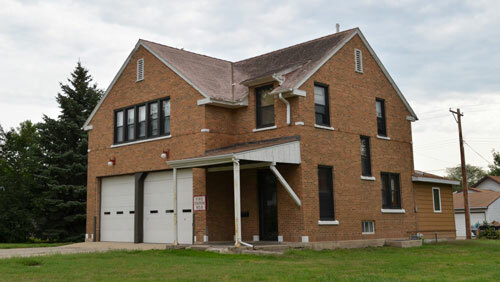 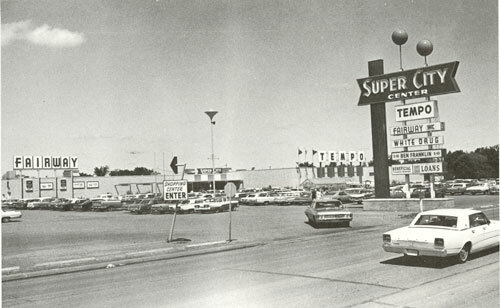 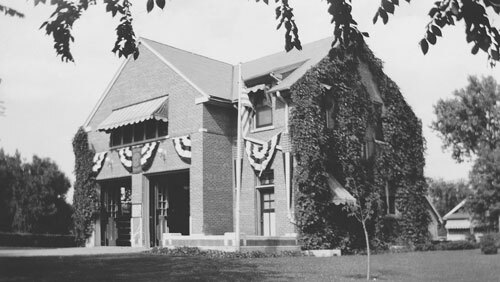 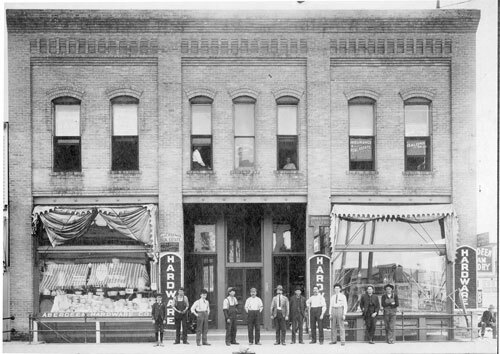 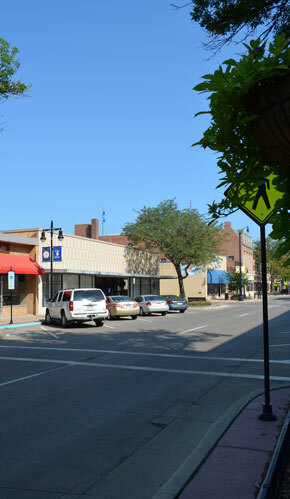 A Home Federal bank was built in the place of the two foreground buildings, hence the drive-thru where the bar once was. 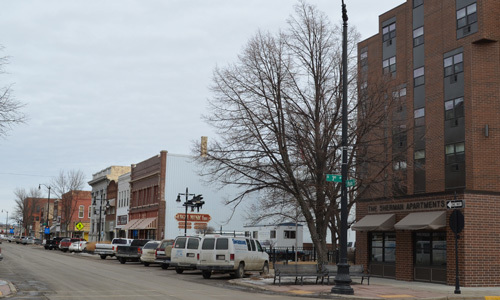 In the background, you can see the Brown County Courthouse, and the Herman Hotel building. 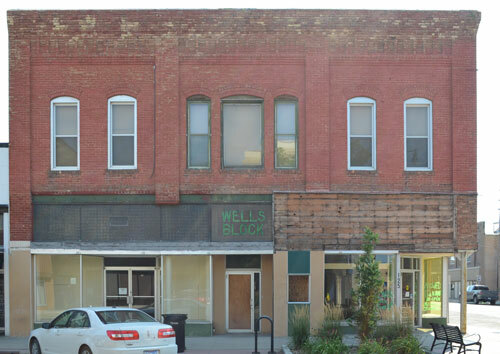 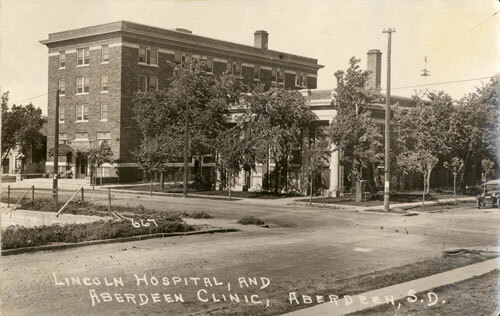 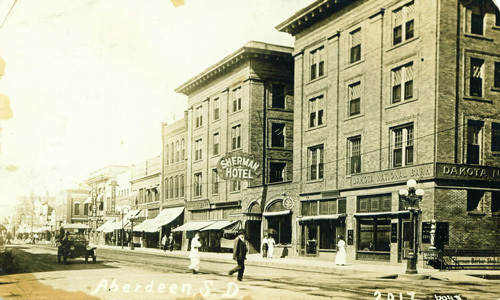 On the corner of Lincoln Street and 5th Avenue, these photos show where the Lincoln Hospital (building on left) was located before being moved to its current location as part of Avera St. Luke’s Hospital. 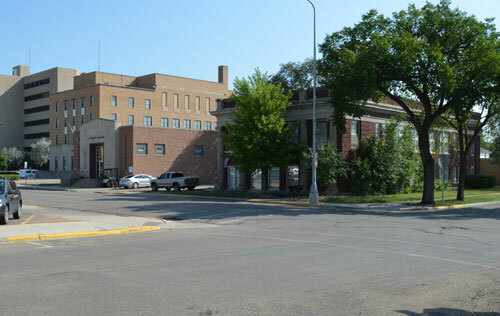 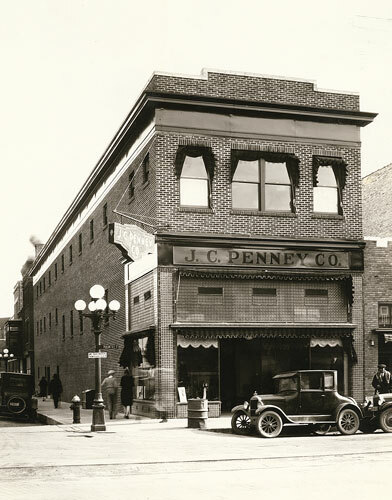 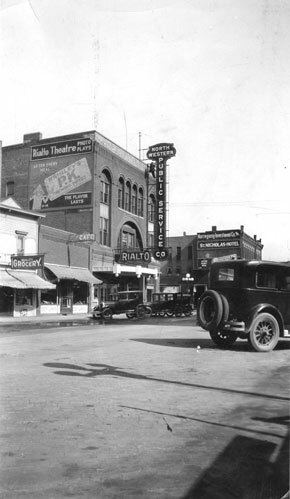 Built in 1920, the building on the right was known as the Murdy Clinic. 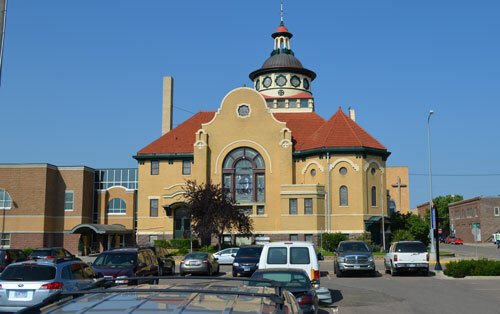 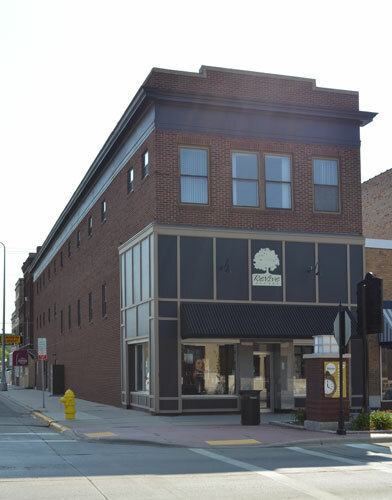 Today, the Murdy Clinic building contains apartments. 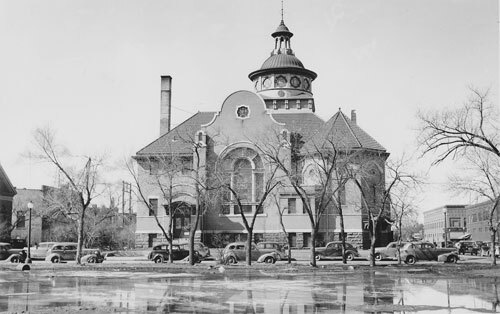 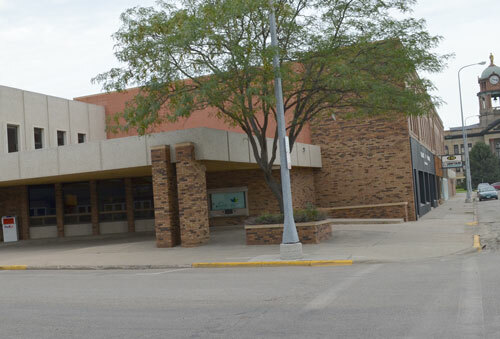 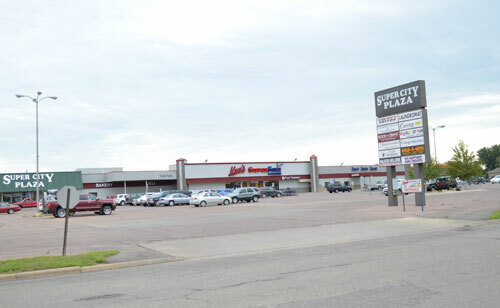 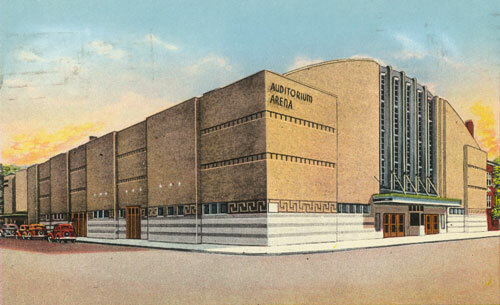 Constructed in 1938, the Aberdeen Civic Arena has not changed much in outside appearance. 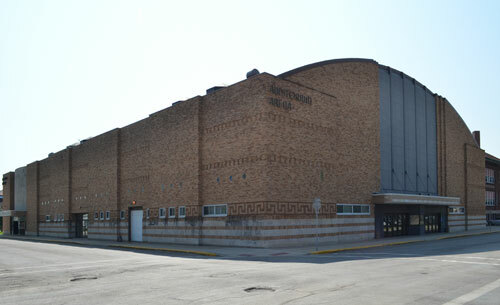 Inside, it can seat 3,200, and is used for basketball, volleyball and wrestling, as well as special events and concerts.